Thank you to all who came out to the biggest Women’s Blues Revue EVER. 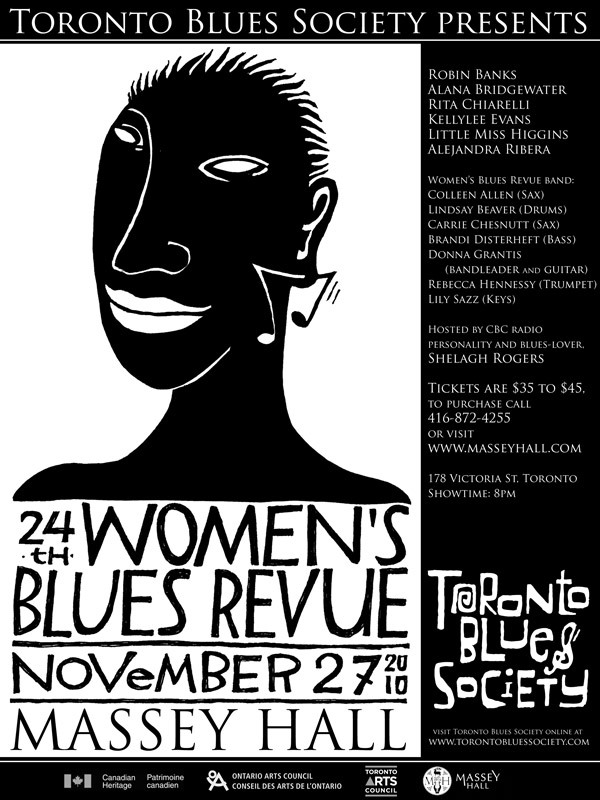 Mark your calendars now for the 25th anniversary of the Women’s Blues Revue on Saturday November 26, 2011! 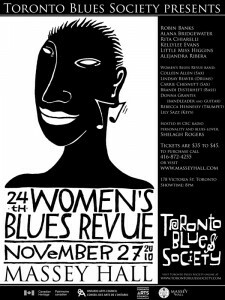 Year after year, the Women’s Blues Revue promises the bluest of blues and the hottest of nights. From its roots in the small clubs of Toronto to the big stage at Massey Hall, this show has consistently delivered the most eclectic and excellent mix of the best female vocalists, musicians and special guests. Hosted by CBC radio personality and blues-lover, Shelagh Rogers.